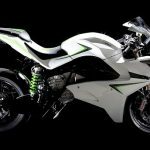 Italian electric motorcycle maker CRP has launched a new online reservation system, allowing customers to put down a deposit and order the upcoming Energica sportbike. 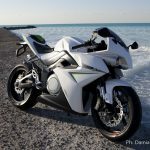 The CRP Energica is priced at €18,000 (US$23,270), and CRP is now reservations with deposits of €500 (US$646) online at http://www.ecrp.eu/en/order-energica.html. Payments are refundable and are made through PayPal, making it easy for anyone with Internet access to put down a deposit for the CRP Energica. Unveiled in prototype form at the 2012 EICMA show in Milan, the Energica is a product of CRP’s experience racing in TTXGP. 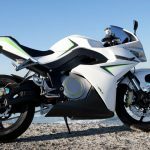 Powered by a 100 kW PMAC electric motor, the Energica ciams a top speed of 136.7 mph with a range of 93 miles at an average speed of 43 mph. The battery has a nominal capacity of 11.7 kWh (13.2 kWh at full charge). CRP claims a full recharge time of three hours through a regular AC connection and an 80% charge in just 30 minutes on a direct current. CRP tells Editor in Chief Kevin Duke the manufacturer is getting ready for a market launch in 2014 around the world including in the U.S.
“We are strongly interested in North America as it is a country that has the facilities for electric vehicles, such as northern Europe. 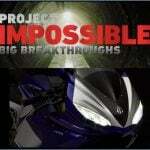 Energica will be available for the US market in 2014,” CRP tells Duke.